Shampoo with soy protein is a mixture of extracts of soy protein, barberry, wild turmeric, almond and mustard oil. Made using spring water from the foothills of the Himalayas. Perfectly cleanses and restores the hair, does not violate the natural pH balance, prevents graying of hair, protects the scalp, preventing hair loss, gives hair a healthy Shine and silkiness. Content: soy protein, almond and mustard oil, barberry and turmeric. 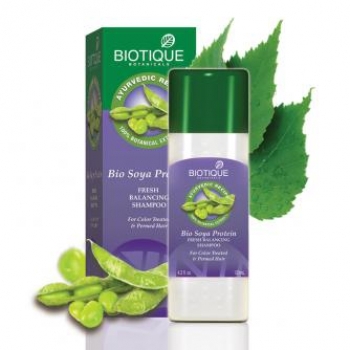 Original name: Bio Soya protein shampoo. Original name: Bio Soya protein shampoo Biotique. In our store You can buy authentic Shampoo with soy protein Biotic at the best price!